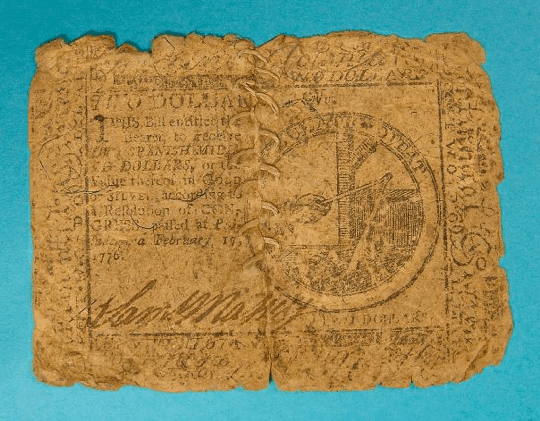 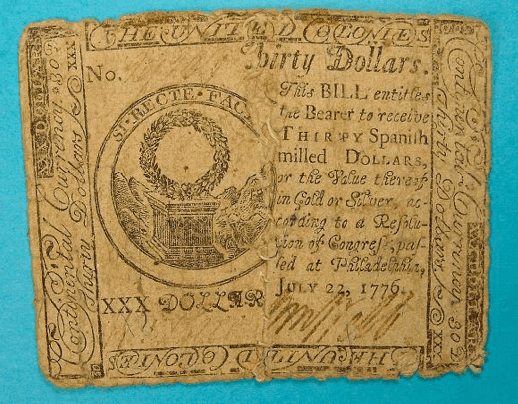 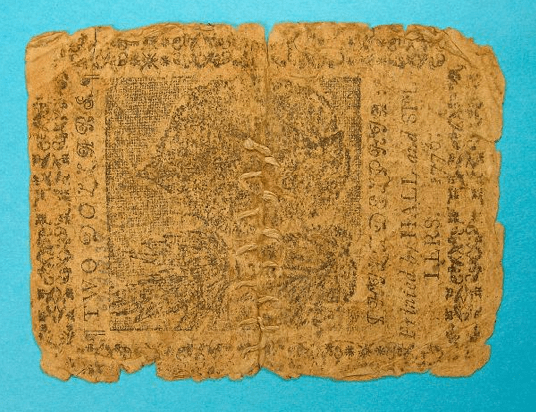 This is a $2 United States note from 1776. 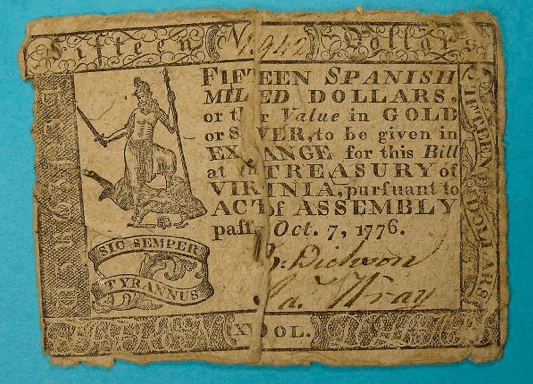 It was printed by Hall and Sellers in Philadelphia and issued by the Continental Congress. 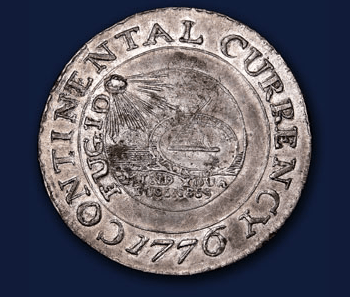 For source and more details, click here.